NorthPoint Health and Wellness Center is a full service health clinic in North Minneapolis. We have served as their marketing department since 2014, producing all of their marketing materials, designing and developing their website, and working with them on all new marketing and communications projects. 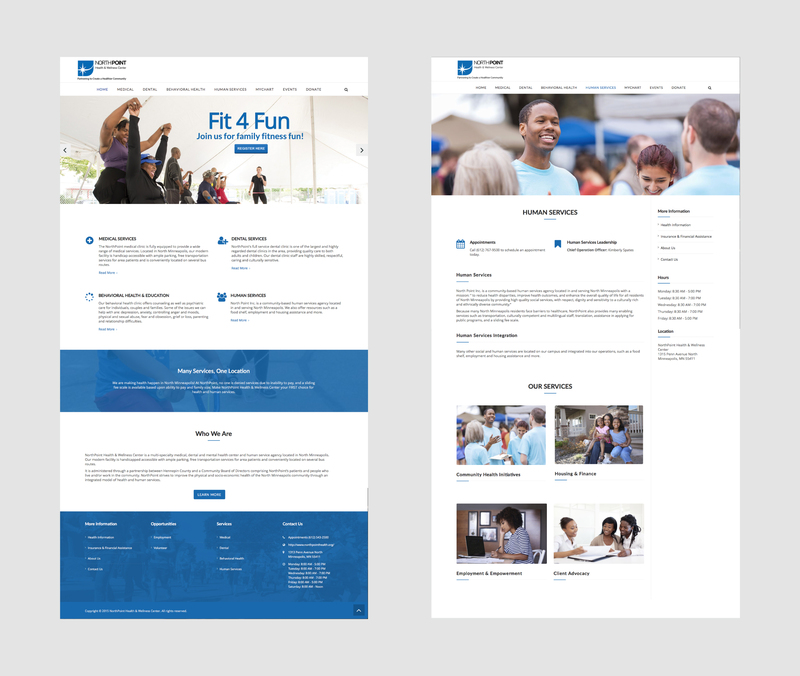 We were first brought on to redesign the NorthPoint website but that project spurred further design projects with other clinic programs in need of graphic and marketing services. For each project our goal was the same – stay true to the professionalism and service quality of NorthPoint while pushing the visual style in a modern direction. 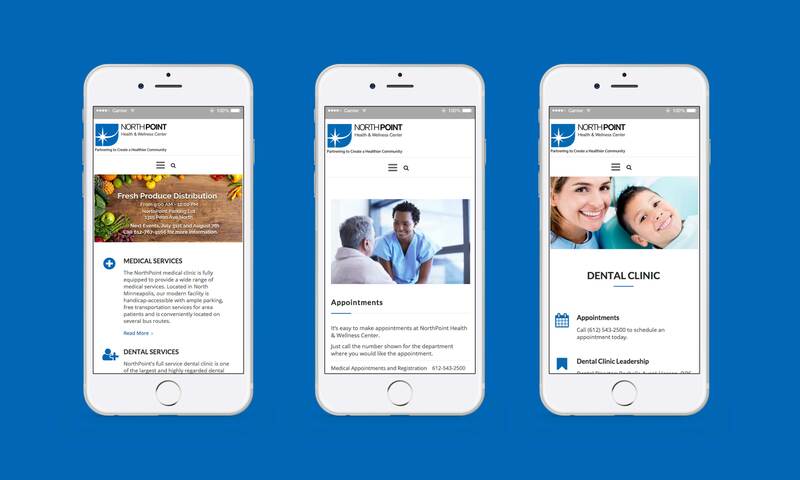 We helped NorthPoint achieve an accessible website for their clients and employees when searching for information. The challenge with the old site was the invisibility of information such as doctors, clinic programs, and services. 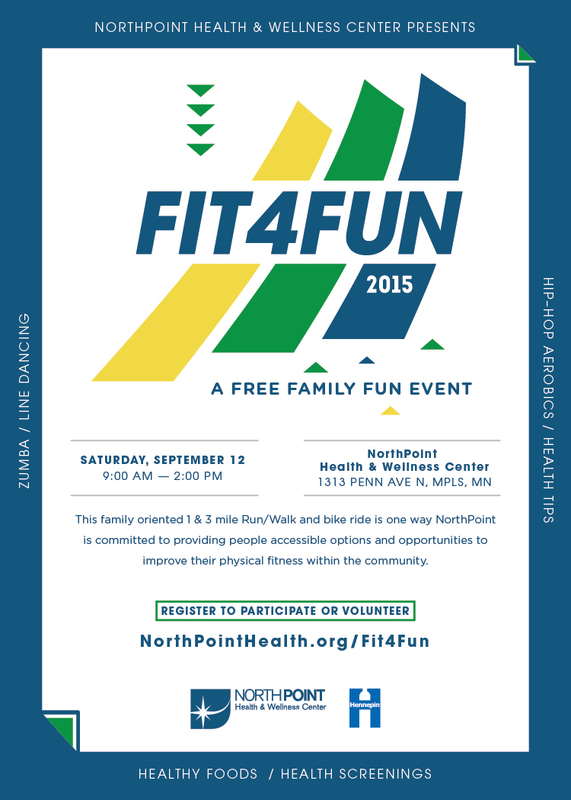 Fit 4 Fun (F4F) is an annual family oriented 1 & 3 mile run, walk, and bike ride in North Minneapolis. 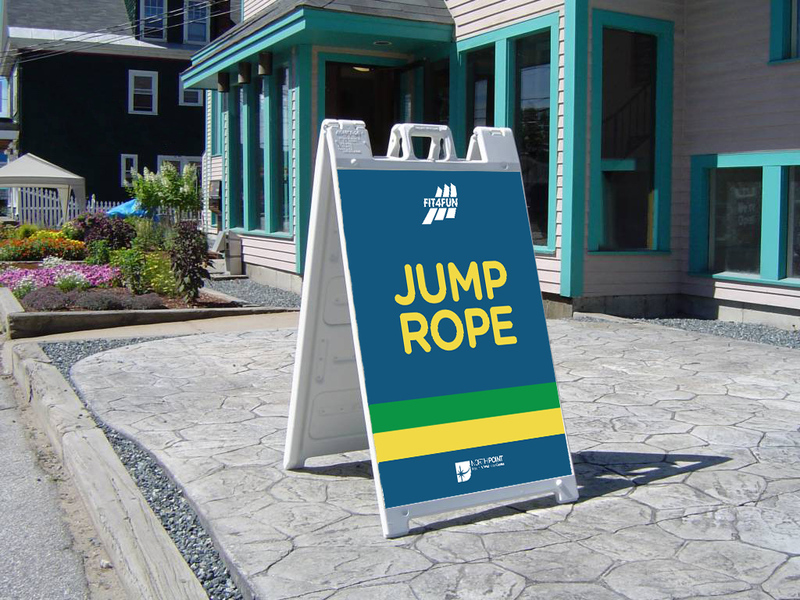 The goal of F4F is to provide the community with options to improve their physical fitness with the community. 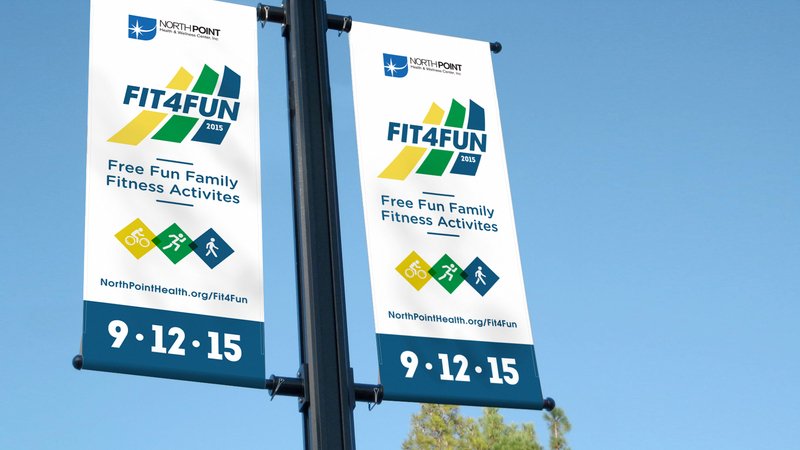 NorthPoint looked to us to design print collateral such as flyers, posters, signage, and a mailer to promote the event. Using the visual treatments as the italic font and three stripes (representing the run, walk, and bike portion of the event) we brought energy and movement to our marketing materials. 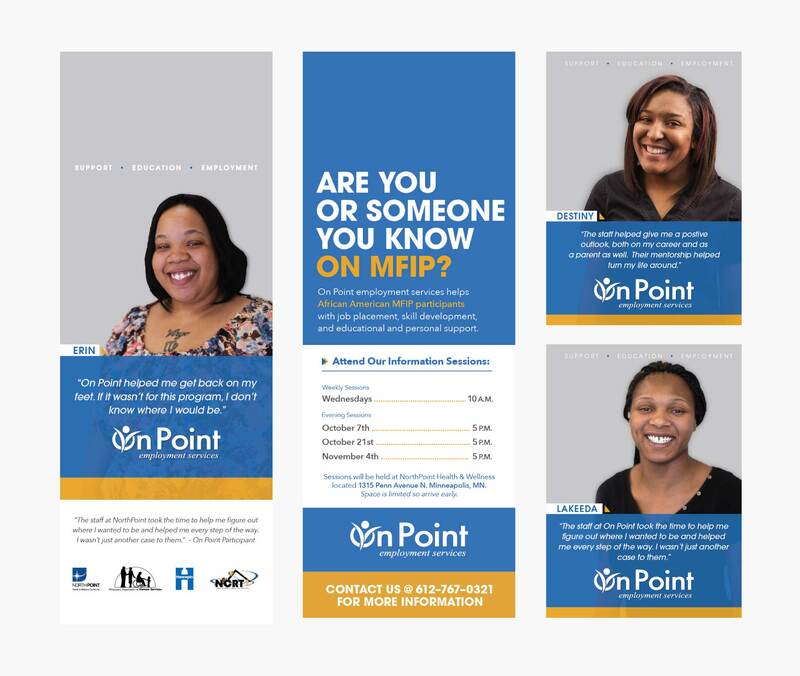 On Point was a new program under NorthPoint that needed to increase it’s awareness. We designed flyers, posters, door hangers, and produced a 30 and 60 second radio ad that was played on Twin Cities local station 89.9fm KMOJ. Our marketing efforts also extended online with Facebook advertisement and a promotional video. The To the Point program struggled with identity amongst the other programs in NorthPoint. To decrease confusion, we developed a logo and color palette to apply across the brochures and business cards.